We went to IKEA today to get a Christmas tree which is a break from our family tradition of going out and cutting a tree down for Christmas. This year we are a little strapped for money and we heard that IKEA had trees for $20.00 any size your choice and you received a $20.00 gift check you could use to buy merchandise at their store. We parked and walked into the entrance and were surprised to see the big jolly guy himself! He called out to us to bring Jon and the baby over. 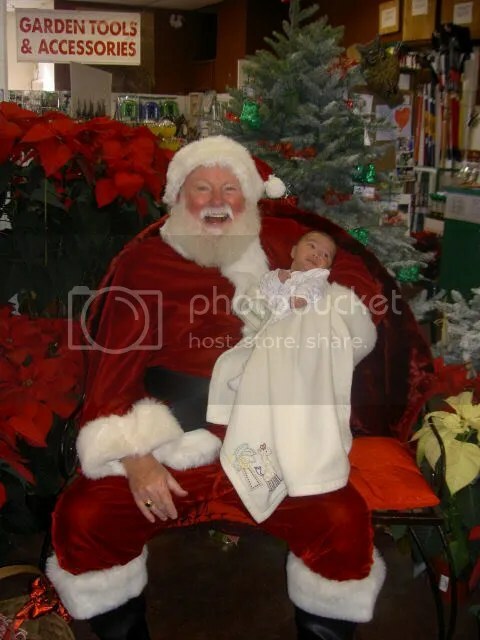 This was the best Santa I’ve ever seen! His beard and his happy smile and blue eyes were real! 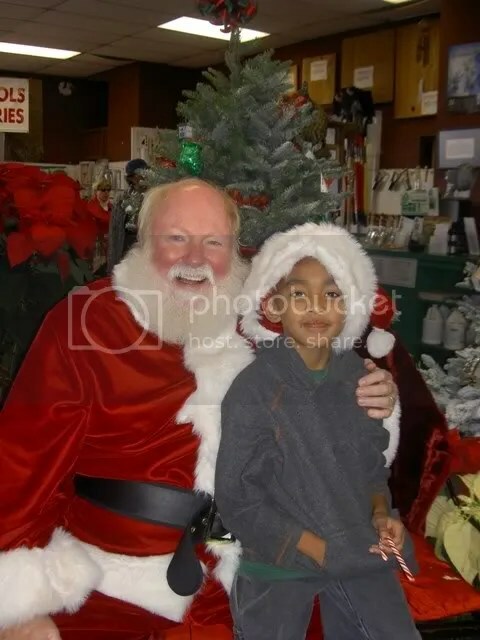 Now even though Zeke looks scared in the picture he really wasn’t I was with Santa for along time you see I had to run back to the care to get Janet camera. 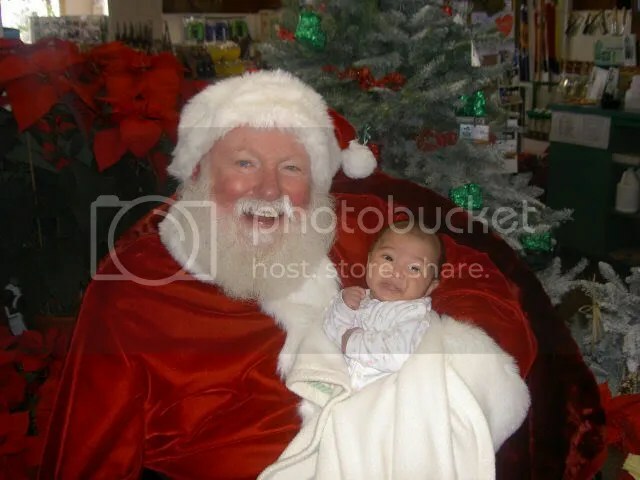 Zeke’s first visit with Santa could not have been better. It’s going to be a tough Christmas for us this year but this little bit of kindness and thoughtfulness by Andersons really made a big difference, like I’ve said in my other postings, it’s the little things people do for you that make a difference, or in this case the little things a business does… All and All this weekend turned out pretty good! Nice story and really wonderful photos!! Hard to believe it was 2006 when we met at Walter Andersen’s Nursery! Funny to see pictures of my “sprayed” mustache, because there was still red in it back then. Thanks for your nice comments on the CoolSanDiegoSights website. C-Ya at the Walt’s next Saturday between 11:00 and 1:00.